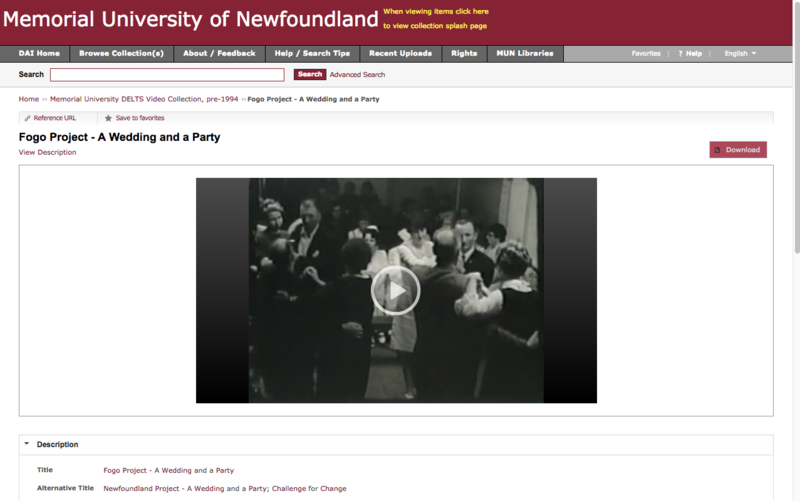 A Roman Catholic wedding (1967) in the church in Joe Batt's Arm South on Fogo Island, Newfoundland; then a party afterward with music and dancing in Joe Batt's Arm North. There appears to be no way to jump through the wedding sequence to get to the dance footage, about two-thirds of the way through the posted video. Total length of the footage is 11:15. Memorial University of Newfoundland. 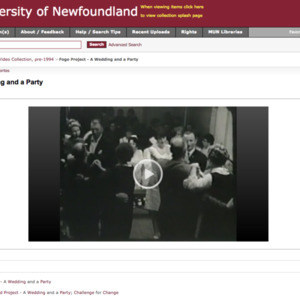 Extension Service (Producer) National Film Board of Canada (Producer), “Fogo Island, Newfoundland - A Wedding and a Party,” Square Dance History Project, accessed April 20, 2019, http://squaredancehistory.org/items/show/358.